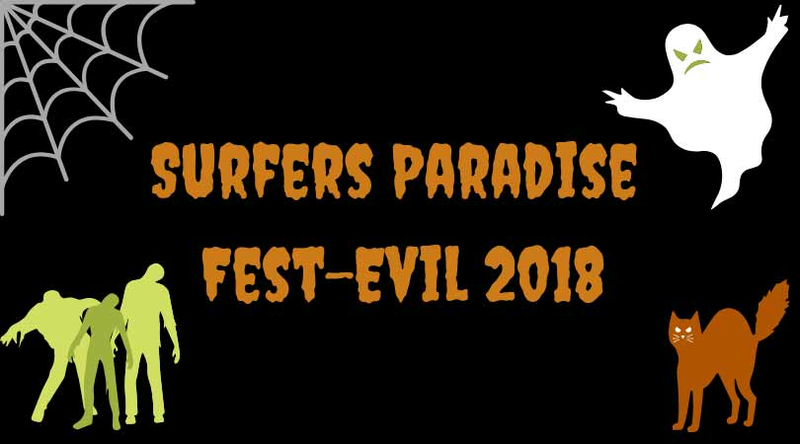 From October 26th to 28th, Surfers Paradise will be infested with zombies, ghosts and ghouls for the first ever Fest-Evil event on Cavill Mall! Cavill Mall will be transformed into a spooky graveyard full of family friendly activities to fright and delight! From nightmarish walks of zombies to Halloween themed markets, and costume competitions – there is something to excite horror-lovers of all ages. The event will feature the ever-popular Zombie Walk, which after swarming a number of Australian cities, will now crawl its way to the shores of Surfers Paradise. The event will proudly support the Brain Foundation charity by raising funds for continued research into treatments for brain disease, brain injuries and neurological disorders. By day, there will be a range of family-fun activities to entertain the little ghouls as well, including the Voodoo Revue show, Ooky Spooky Magic Show and Drax for Kids. While lurking the streets of Cavill Mall, event goers can be mesmerised by performances such as dance mobs covering Michael Jackson’s iconic and infectious Thriller. Families are encouraged to dress up in their most spook-tacular costumes to trick-or-treat amongst the Surfers Paradise Shopping Centres. When the sun goes down, the underworld will come alive and an eerie spell will be cast over Cavill Mall where adults can enjoy events such as the Infectious Halloween party and Danse Macabre. While you’re at Cavill Mall, make sure to check out Infinity where you can hide from the ghouls of Fest-Evil in our immersive, interactive mazes. Ignite your senses even further by stepping into a world of memorising special effects, provoking sounds effects, trippy music, and stunning visual and spatial illusions.